Wet bathrooms are the ideal solution for Seattle homeowners looking for the best way to maximize their home’s small bathroom spaces. With a large number of older homes in the city’s many neighborhoods, finding ways to modernize older, smaller bathrooms can prove challenging for homeowners. That’s where the talented design and production teams at CRD come in! We have more than thirty years of experience in helping homeowners by providing efficient solutions to help improve the livability of their homes. 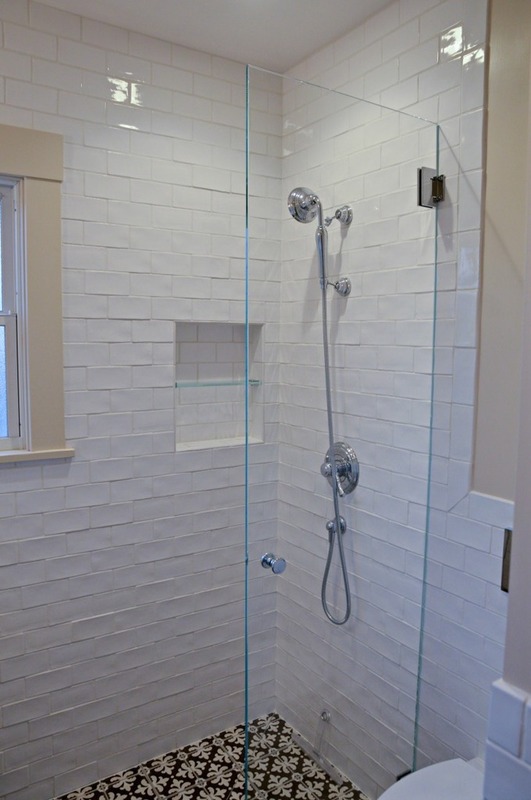 At CRD Design Build, we have completed a number of renovation projects where small bathroom spaces were turned in to beautiful “wet” bathrooms where the entire room is modeled to be an extension of the shower space. 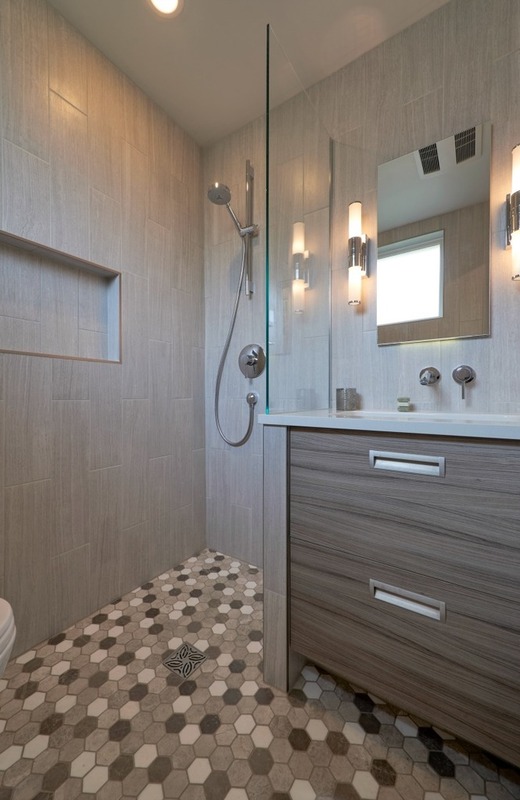 Because they are designed to get wet, these bathrooms contain drains in the floor, carefully-placed glass walls, tile, wall-hung teak cabinetry and construction materials that can withstand frequent exposure to moisture. Due to the unique nature of these rooms, it is not recommended that DIY’ers attempt to create their own wet bathroom, lest they be plagued with moisture problems years down the road. It is important that you work with a qualified and experienced contractor like CRD who can design and build the room properly. At a recent remodel in the Fremont area, a full wet bathroom was created, complete with modern soaking tub and tile shower with partial glass enclosure. A ¾ bath with shower, full vanity and wall-hung toilet was also added in the space that used to be a small closet. In both bathrooms, we used special fans that output heat as well as air along with floor heating to ensure the bathroom dries quickly and efficiently. The result is a beautiful, contemporary space that expands on the original footprint while still being compact and efficient.